Ding! Virika and I managed to hit level 50 before we signed out last night. Though we played quite a bit this weekend, we didn't devote as much time to Wildstar as we had planned. We decided to focus on leveling up the rest of the way to 50 and bypassed any adventures or dungeons this time. There was another awesome shiphand mission that I recorded (maybe I will upload that later). It had had us battling in a deadly game show and endorsing silly products. Nor did I get into any PvP like I had planned. Oh well, at least we have a plan for next Beta weekend. Our toons had already quested their way though the Wilderrun zone before this weekend began. Although it wasn't as novel as Farside, the lore and story was excellent. The major story line follows Tresayne Toria and her Torine sisterhood. These girls are the amazon warriors of Nexus and they would give Xena a run for her money. Completing the quests in this zone rewards the player with heaps of lore about the Eldan and how the Torine came to be. Toss in a couple of cut scenes and some gruesome monsters twisted by dangerous Eldan technology, Wildstar delivers several hours of immensely entertaining questing. Really, I am actually enjoying questing... a lot! And I only ever dabbled in RP very briefly on a WoW realm and I probably won't in Wildstar. 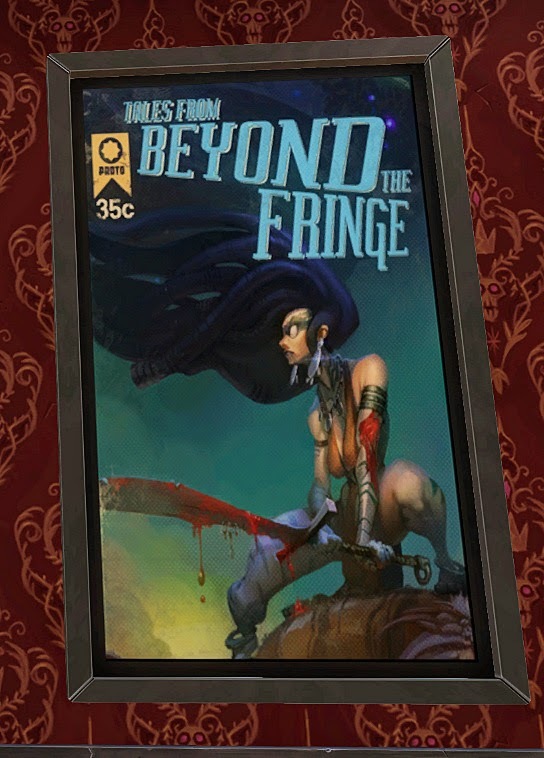 But when I encounter a character like Tresayne Toria with such a rich back story, I feel like RP will be really amazing in the Wildstar setting. We rushed through Malgrave. Though this zone had it's merits, it was more bland than the zones that preceded and followed it. Grimvault came next and it was another truly epic zone. The southern portion of the zone was actually a bit buggy. There were lots of places where we'd freeze and get killed by mobs and certain mechanics seem to boot us from the game. After a rather frustrating hour or so, we made it to the north and all was right with the world. The zone had a truly epic quest line with a very satisfying conclusion. I found it challenging. Within Grimvault is a crashed Dominion ship called the Aziron that provides the setting for some of my favorite quests in the game. Players start out stumbling through the dark barely able see 10 meters in front of them. After some exploring and combat there is a short puzzle quest that upon completion, turns the power and lights back. It was quite a wow moment when I turned my toon around and looked over at the huge space I'd been running around in... there was so much more to go. The details and the vastness of it really blew me away. After completing Grimvault, we were both just a few bubbles from 50. We headed to the Badlands but didn't take it in. We hit 50 and pretty much called it a night. Having made the journey all the way from wee level one, overall the leveling experience was much more fun than I thought it could be. 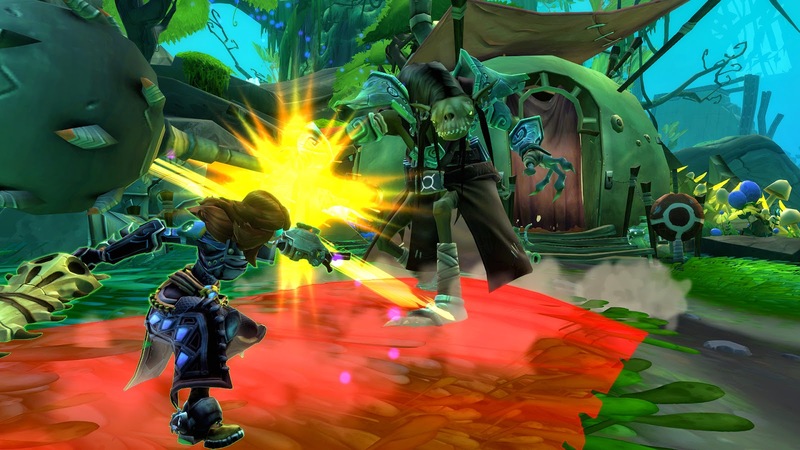 Wildstar at it's heart is an MMO. In the end, players who like this type of game will find a lot that is familiar and expected. However, the nuances of gameplay, the sci-fi comical setting, and the level and quality of detail provide a fresh experience. 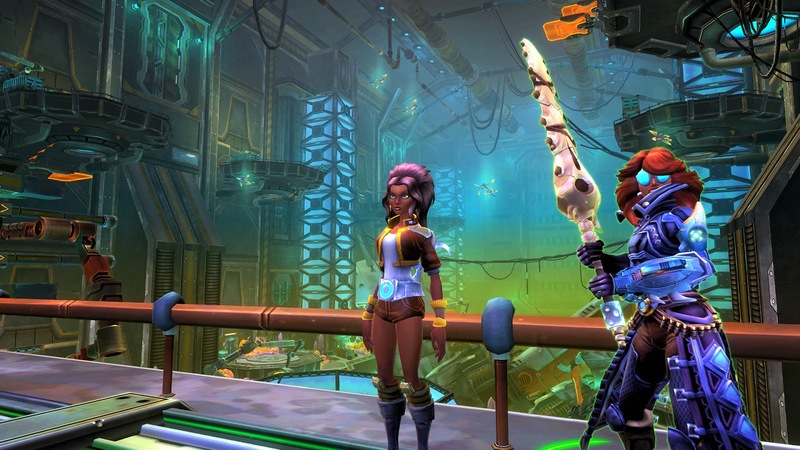 I do see one major flaw that could hurt the Wildstar's longevity, which I will discuss in my next post. For now here is some video of my levelups. I love the narrator! Addons To Make This Beta Weekend Better For You!